On Kepha's passages from Chanok (Enoch). Now let's take a look at Kepha's quotes from the Cepher Chanok. By which also he went and preached unto the ruachoth in prison; 20 Which sometime were disobedient, when once the longsuffering of YAHUAH waited in the days of Noach, while the ark was a preparing, wherein few, that is, eight souls were saved by water. FROM there I proceeded to another spot, where I saw on the west a great and lofty mountain, a strong rock, and four delightful places. 2 Internally it was deep, capacious, and very smooth; as smooth as if it had been rolled over: it was both deep and dark to behold. 3 Then Rapha’el, one of the holy angels who were with me, answered and said, These are the delightful places where the ruachoth, the souls of the dead, will be collected; for them were they formed; and here will be collected all the souls of the sons of men. 4 These places, in which they dwell, shall they occupy until the day of judgment, and until their appointed period. 5 Their appointed period will be long, even until the great judgment. And I saw the ruachoth of the sons of men who were dead; and their voices reached to heaven, while they were accusing. In the above passages, it is quite evident that Kepha (Peter) is familiar with the Chanokian passages. Kepha, being a Talmidiy (disciple) of YAHUSHA, would certainly have been told by MASHIACH not to engage in this ancient writing. 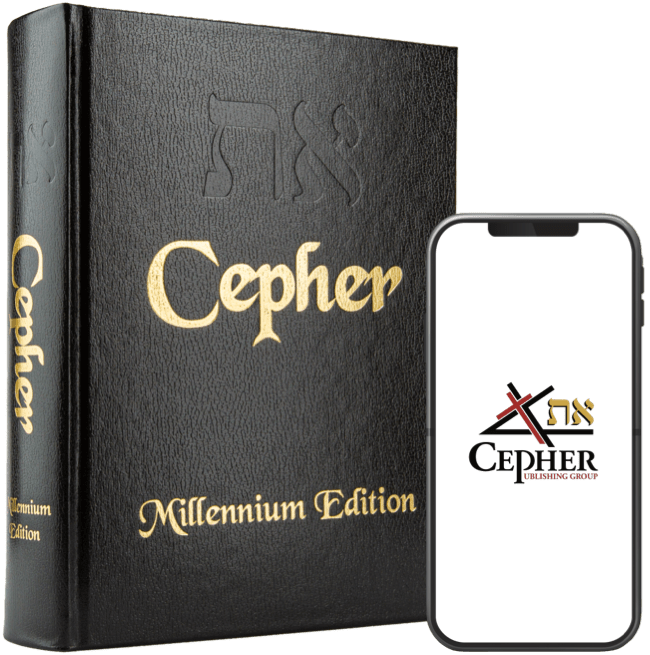 Kepha is giving credence and divine authority to this ancient writing by using it as an example, just as Pa'al would quote Devariym (Deuteronomy) or other Torah related passages within his cepheriym (epistles). THEN I made a circuit to a place in which nothing was completed. 2 And there I beheld neither the tremendous workmanship of an exalted heaven, nor of an established earth, but a desolate spot, prepared, and terrific. 3 There, too, I beheld seven stars of heaven bound in it together, like great mountains, and like a blazing fire. I exclaimed, For what species of crime have they been bound, and why have they been removed to this place? Then Uriy’el, one of the holy angels who was with me, and who conducted me, answered: Chanok, wherefore do you ask; wherefore do you reason with yourself, and anxiously inquire? These are those of the stars which have transgressed the commandment of EL ELYON; and are here bound, until the infinite number of the days of their crimes be completed. 4 From there I afterwards passed on to another terrific place; 5 Where I beheld the operation of a great fire blazing and glittering, in the midst of which there was a division. Columns of fire struggled together to the end of the abyss, and deep was their descent. But neither its measurement nor magnitude was I able to discover; neither could I perceive its origin. Then I exclaimed, How terrible is this place, and how difficult to explore! 6 Uriy’el, one of the holy angels who was with me, answered and said: Chanok, why are you alarmed and amazed at this terrific place, at the sight of this suffering? This, he said, is the prison of the angels; and here they are kept forever. From them I heard all things, and understood what I saw; that which will not take place in this generation, but in a generation which is to succeed at a distant period, on account of the elect. 3 Upon their account I spoke and conversed with him, who will go forth from his habitation, the Holy and Mighty One, the ELOHIYM of the world: 4 Who will hereafter tread upon Mount Ciynai; appear with his hosts; and be manifested in the strength of his power from heaven. Keep digging my brothers. Shalom.